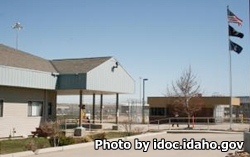 South Idaho Correctional Institution is located in Kuna Idaho. It is a minimum custody facility that can house up to 656 adult male offenders. Vocational opportunities at this facility include working for the department of conservation and the department of forestry on fire fighting crews, and working on road crews for the department of transportation. Inmates are housed in an open dormitory setting and many of the offenders have the ability to work outside the facility in supervised positions. South Idaho Correctional institution offers inmates work in the correctional industries program. SICI has a pre-release program which helps prepare inmates who are about to be released and placed on parole. All prospective visitors must have first filled out a visiting application and had it approved before they can attend a visitation session. Visiting is divided into groups by dorm. You must arrive 15-30 minutes prior to the visiting time to be processed into visitation, if you arrive late you will not be allowed to visit. The visiting hours rotate every few months so you should contact the facility to ensure the current rotation is still active.